Are you a manager looking for a sales CRM app to increase sales? Do you want to improve productivity? To deliver the right value & maintain quality service? 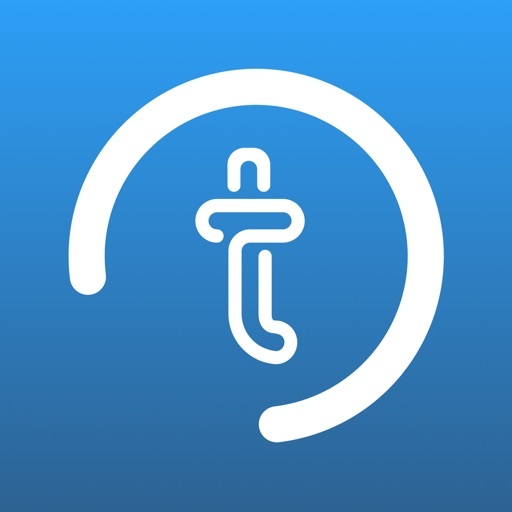 Taimer Sales CRM & Project app brings all customer relationship management, project collaboration, and finances into one single place so that your team members can save time, increase productivity, and close the deal faster. Built for result driven teams, from startups to SEMs, and large enterprises. You can access Taimer from anywhere, anytime, any platform. 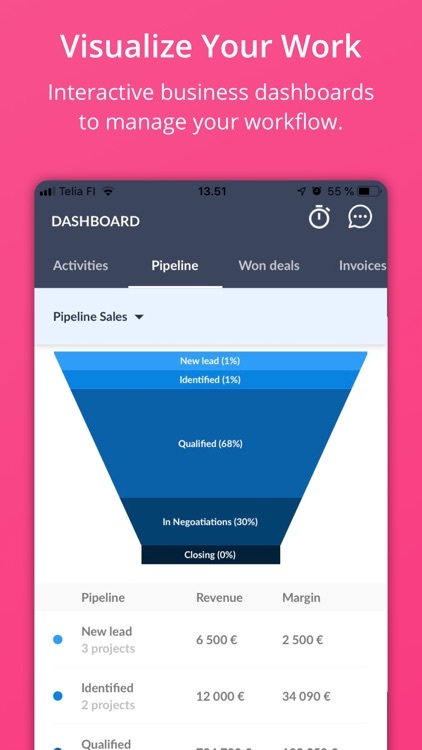 Taimer's Sales CRM is specifically developed to qualify the right leads, customize sales pipelines (sales funnels) and manage project finances effortlessly. You can also use sales quote templates to customize & send sales quotes faster. Taimer provides a 360-degree view of your company progresses using the visual & interactive dashboard. You will be able to get real-time insights into your sales revenue and company expenditure. With Taimer's unified project management software you can plan projects considering project requirements, project teams, and resources. Then in the execution phase, you can track time and resources, manage costs, collaborate on tasks and more. Additionally, you can deliver projects on time using a customizable pipeline management tool. 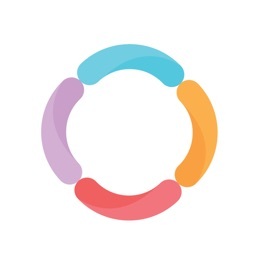 Create unlimited projects, track progress, assign status & complete projects on time with Taimer. With just a click, the automatic built-in timer lets you track the time spent on projects and tasks. 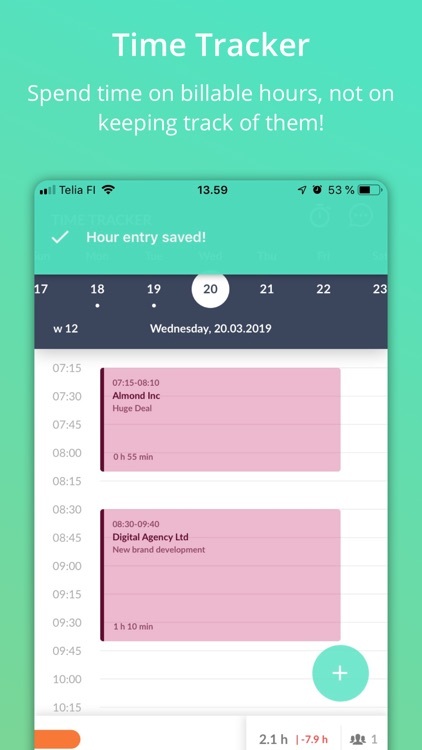 Project planning with Taimer is much easier, and lets you know better the time spent on specific tasks and activities. You will get time on your side and access the tools you need to run, grow and manage your business on the go. 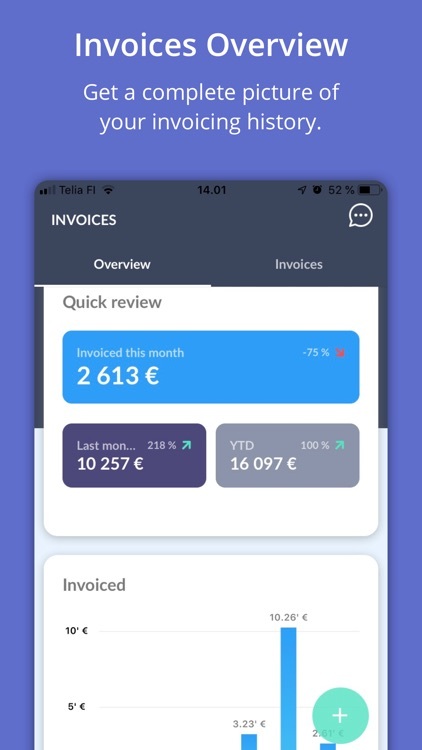 Use Taimer best invoicing software to invoice your projects with ease and always on time. You can invoice hours, bills, expenses, recurring and scheduled invoices. Additionally, you can get a real-time view for the coming months invoicing estimates and analyze your cash flow. - #1 unified sales CRM software: replace many apps with features that talk to one another. - Sales Funnel Management: visualize the sales process of your leads & deals. - Sales Quote Creator: use quote templates, add a cover letter and send for approval. 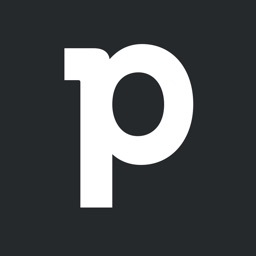 - Project management: use the pm feature to boost project success. - Customizable project management processes: define, execute, and measure the performance of your processes. - Sales Activity Management: plan and manage your meetings, demos, calls, to-do list etc. - Sales Goals: assign goals, qualify leads, track prospects & close unlimited deals faster. 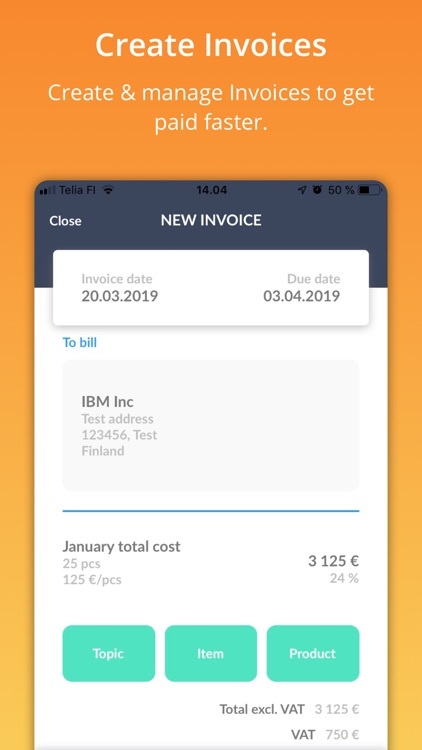 - Invoice Creator: invoice hours, bills, recurring & scheduled invoices on the go. 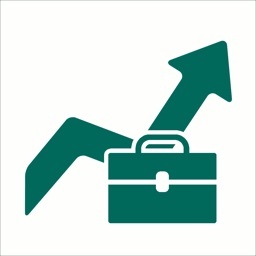 - Sales Insights: get real-time insights on your sales revenue and company expenditure. - Product Sales & CPQ: Create orders and follow up on inventory in one place. - Business Intelligence Dashboards: get actionable sales insights via a visual, smart, & interactive dashboard. 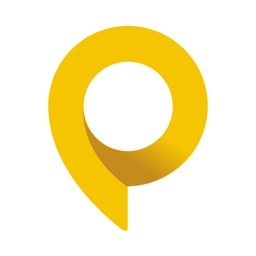 - Time Tracker: keep track of your team's time, bill hours, or pay salary. - Resource Scheduling & Gantt chart: schedule resources, task, and projects visually. 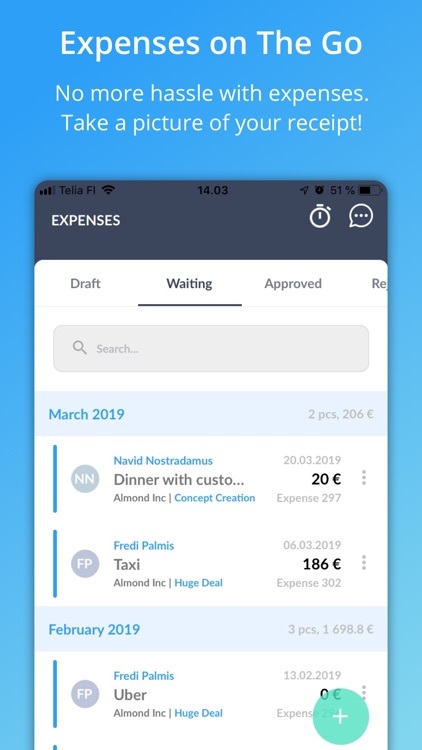 - Bill & Expense Management: manage your bills & expenses, split & target to projects, visual data on project finances. 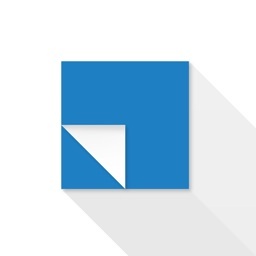 - Team Chat: share files, updates, and company news in the same app. - Customer Collaboration: maximize efficiency by using workflow visualization boards and cards. - Connect with your favorites business apps through +50 integrations. Download Taimer now & simplify work.